What are the steps of the real estate process? The goal of this website is educating you about how to manage to buy or to sell a home. Dearmonty.com helps you navigate through the process with practical and sound advice. By anticipating and understanding what is in store for you, you can take advantage of this knowledge to act and react efficiently and confidently as you pursue your real estate goals. The goal of this website is educating you about how to manage buying or selling a home. As a buyer, you might say to yourself, “What is the big deal? Let us jump in the car and start looking. It is pretty easy”. If you are a seller, you may say, ” I will call my real estate friend from my exercise class, she seems like a nice person. She can handle it”. Some people may even say ” I can do it myself. ” Most people do not understand or realize how real estate works. It is like watching a new car drive by on the road; looks pretty. But upon closer examination when you look under the hood, it gets a lot more complicated. 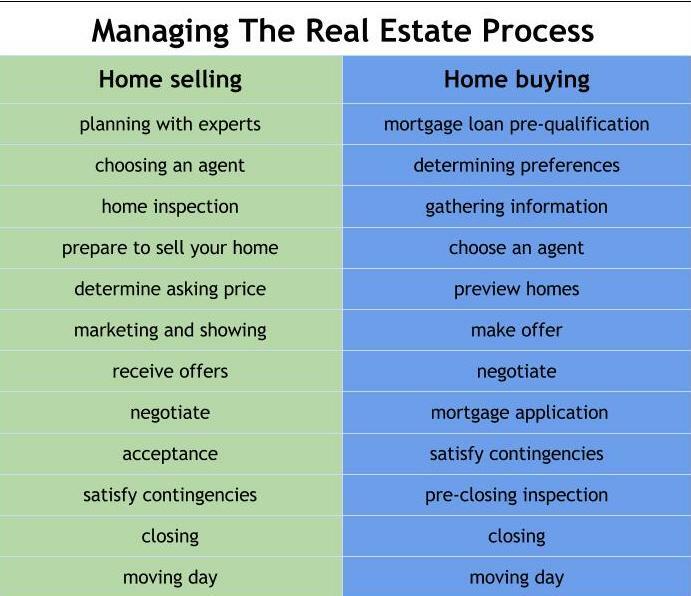 Buying or selling a home is a complicated and lengthy process you enter into to achieve your ultimate goal. Experience has proven that knowledge is your best ally in successfully navigating your way through this process. Because this specialized knowledge is camouflaged in myth, misinformation, misplaced trust and confusion, personally investing time in acquiring and applying the knowledge is the surest and safest way to proceed. Without this knowledge, the probability of long delays, unnecessary risks, simple yet costly errors and high levels of frustration increase exponentially. Buyer purchased their ” second choice ” because a negotiating procedural error caused them to lose their first choice. Essentially, they bought the wrong house. Seller stood up at the closing when transaction failed to close. Buyers forfeited earnest money did not cover expenses of moving, dual housing payments and lost deposits, and old home remains unsold. The reason the transaction failed was that no one involved bothered to verify buyer’s funds. Who missed it? Sellers attorney, sellers lender, buyers lender, listing agent, selling agent and of course, the seller. This small detail damaged both parties in this failed transaction. There are countless sad stories that have made us passionate about Dear Monty work, but we need your help. In many cases, consumers have unwittingly been a part of the problem by jumping in unknowingly. ” If you always do what you always did, you will always get what you always got. ” A real estate transaction is a process. It is a series of smaller transactions, each very crucial for different reasons. Each minor operation requires specialized knowledge of how that individual part works into the larger transaction. To make confident decisions, one has to understand each of the smaller parts and the different ways they impact the process. Accepting the responsibility for getting the knowledge beforehand, understanding agent management yet retaining personal responsibility for the outcome is the surest course of action to achieve a positive experience. There are numerous steps in the process of buying and selling a home. By reading the ” Learn More ” articles at the beginning of each step, you will get under the hood. This step-by-step advice helps the reader better understand the process and anticipate the best course of action. You can avoid the frustration that can come from not having information soon enough. Keep in mind that while the order of the steps taken by buyer and seller can vary somewhat, keeping them in order is the best way to minimize problems. Dear Monty is the first step in preparing you for the exciting and complex process of managing the buying and selling process. Pretend as though you are entering a virtual reality game – only this is real life, real money and real essential. Dearmonty.com helps you navigate through the process with practical and sound advice. By anticipating and understanding what is in store for you, you can take advantage of this knowledge to act and react efficiently and confidently as you pursue your real estate goals. Learn more here to begin buying. Learn more here to begin selling. Ask your questions. We will answer you.